Sometimes, when I worship at church, I just sing without really paying much attention to the words. Then there are times when the words (usually a single phrase) hit me over the head like a ton of bricks. Sometimes those words have a life changing affect. We have all heard the advice. You know... Don't dwell in the past; live in the now. Be present. I think it's good advice, but I feel like today's American culture pretty much interprets that as FORGET about the past; disregard it. We certainly need to be present. 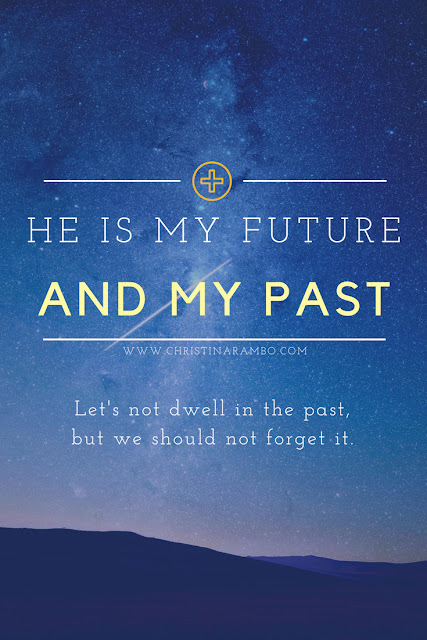 We certainly should not DWELL in the past, but we most definitely should not forget/disregard it! I have noticed that this disregard is often accepted regarding the Old Testament of the Bible. "Why read the Old Testament? Jesus cancels all that out. The Old Testament God was hard to palette. I prefer the loving (less angry) God of the New Testament." Honestly, I was among those people. Then few months ago, I attended a life changing conference and heard THIS talk by Brad Gray. Seriously, friends, this information is LIFE CHANGING. And if you were ever unsure of the relevancy of the Bible, this will surely convince you. It turns out that the entire Old Testament actually points to Jesus in very direct ways. When we study the life of Jesus, it is completely apparent that his actions are directly reflective of happenings in the Old Testament. I'm not just talking about the over arcing fact that in the Old Testament, people sinned and God was mad so, He sent Jesus. That does definitely explain the actions of Jesus, but it's so much MORE than that. Jesus' actions make WAY more sense to me now that someone has pointed out the direct connection between the Old and New Testaments. The point is: The whole Bible is relevant. All the books are part of the whole story (that God hasn't even finished yet!). God knew what He was doing in the Old Testament. He knew what He was doing in the New, and He knows what he is doing now and in the future. I am grateful for that... because, I have been remembering my past. Recalling a lifetime of health issues. I have written about some of them already, but this last year, I have discovered there is something other than mental illness that has been causing these issues. There is a root to it all. I'm going on one year of treatment for Lyme, and it's been hard. REALLY hard. It's easy for me to feel sorry for myself and wonder how different (better) my life could have been had I found out sooner what was causing my issues. I can easily dwell in that. 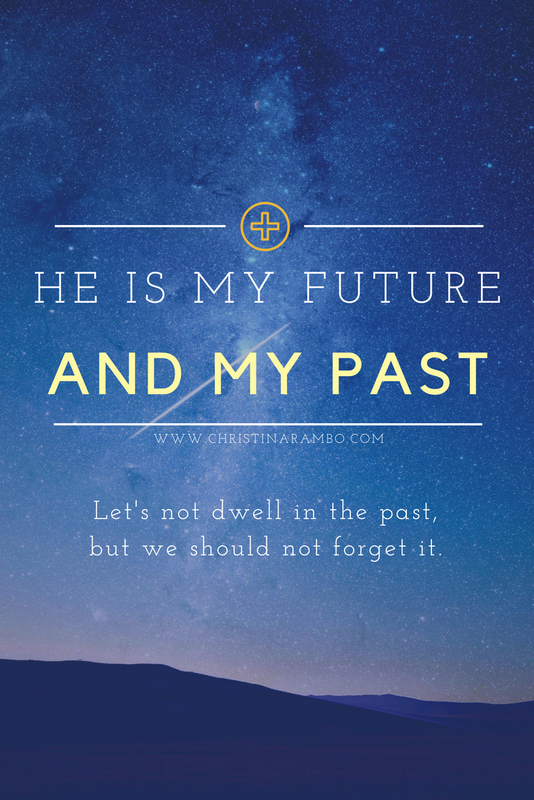 When I, instead, dwell in the Lord, I understand that He is the God of my future AND my past. My past is part of a whole story. Since He's got the whole story under control, I don't need to dwell in the past, but I will not disregard it or try to forget it. I am confident that the connection between my past and future will be used for good! Do you have a tendency to dwell in the past or are you quick to try to forget/disregard it? Thankful that you have some answers to your health and wellness challenges! It can be frustrating and soul crushing to live with chronic pain. Your ability to connect your experiences to faith and future is a testament to the healing taking place in your life. Our wellness on a physical and spiritual level is a dynamic process. Thank you for sharing your experiences on this journey. I look forward to reading more and sharing insights. Wishing you much happiness and blessings. Thank you for reading, Mary and your thoughtful, encouraging comment!